Eel life-cycle. 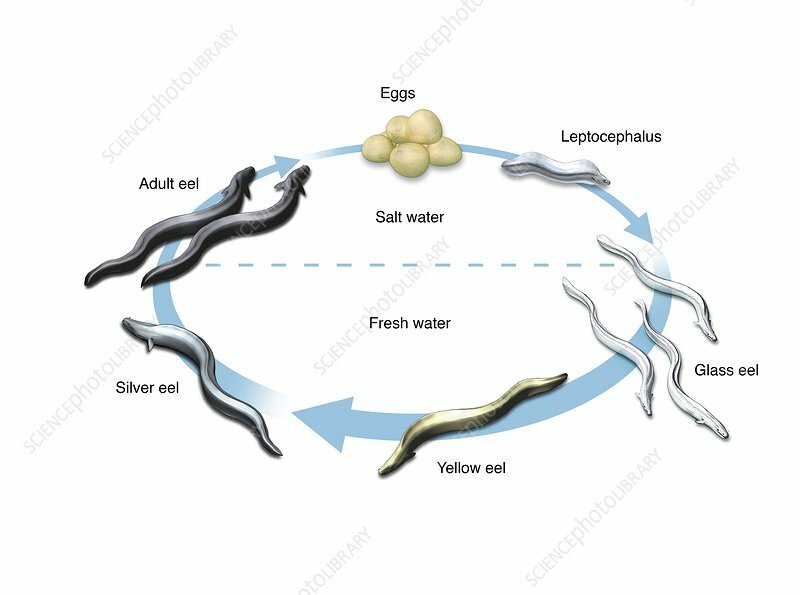 Computer illustration showing the life-cycle of a typical eel (order Anguilliformes). Clockwise from top: an adult lays eggs in salt water, which hatch into transparent larvae, known as leptocephali. Leptocephali then develop into glass eels which head upstream into freshwater rivers where they develop into yellow eels and then silver eels, which head back into the sea. Once back in seawater, the silver eels continue to grow into adult eels, which then go on to lay more eggs.